U.S. natural gas inventories are at low levels, raising the risk that prices could receive a jolt this winter if a cold snap hits. The U.S. natural gas market is cyclical. Demand spikes in the winter as people and businesses turn up the heat, but consumption dips in spring and fall because of mild temperatures. That means that between November and March, gas inventories are drawn down, only to be replenished between April and October. The peaks and valleys of this market fluctuate from year to year, but generally they follow a predictable pattern. However, at the same time, U.S. natural gas demand is rising on a structural basis, as coal plants shut down and more gas-fired generation comes online. Plus, gas exports in the form of LNG are steadily on the rise. 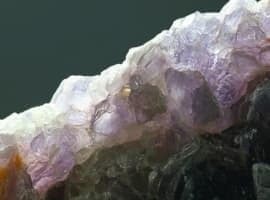 That means that while demand continues to follow a cyclical pattern, both the peaks and the valleys of this pattern are rising steadily over time. The structural increase in gas demand has not been much of a problem because gas production has climbed as well. 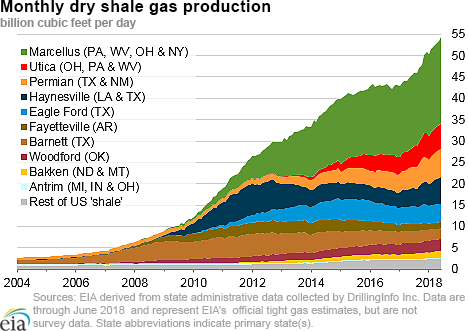 The surge in gas output over the past decade has largely been driven by the explosion of production from the Marcellus shale. Still, there are reasons to think that the market is not as flush as it might seem. Last winter, temperatures dropped to unusually low levels, and a deep freeze across much of the country led to record-breaking days of gas consumption. For instance, on January 1, 2018, the U.S. consumed a record amount of gas in a single day. Whenever this occurs, natural gas production over the course of the spring and summer months – often referred to as “injection season” – tends to replenish depleted inventories. The difference this time is that we entered the injection season with already diminished storage levels, and over the past few months gas inventories have increased less than expected. For the week ending on July 27, gas stocks only increased by 35 billion cubic feet (Bcf), putting total inventories at 2,308 Bcf. Compared to the same time last year, gas stocks are now 688 Bcf lower, and 565 Bcf below the five-year average. That means that roughly half way through the injection season, the U.S. has lower-than-average gas stocks to fall back on. At this rate, we will enter winter with a rather slim cushion of gas to use in the event of a sudden bout of cold weather. There are a few reasons. First, a rush of new supply is expected to come online this year, owing to a series of new pipelines that are starting up in the Marcellus. New takeaway capacity is expected to unlock more drilling and more supply. Also, gas production in the Permian basin continues to rise at a rapid clip. The oil drilling frenzy has resulted in a glut of gas, albeit a localized one, since drillers have had trouble moving that gas to market. But the pipeline constraints for oil in the Permian mirror a similar bottleneck for gas. As a result, gas output in Texas could slowdown in conjunction with a plateauing of oil output. 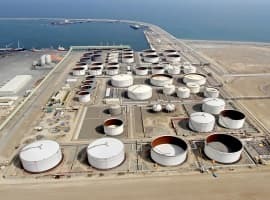 Moreover, as mentioned before, the structural increase in gas consumption could realistically swallow up the expected increase in supply, still leaving the market with a rather thin level of storage. In the event of extreme weather this upcoming winter, the U.S. could find itself short on supply, likely leading to price spikes. 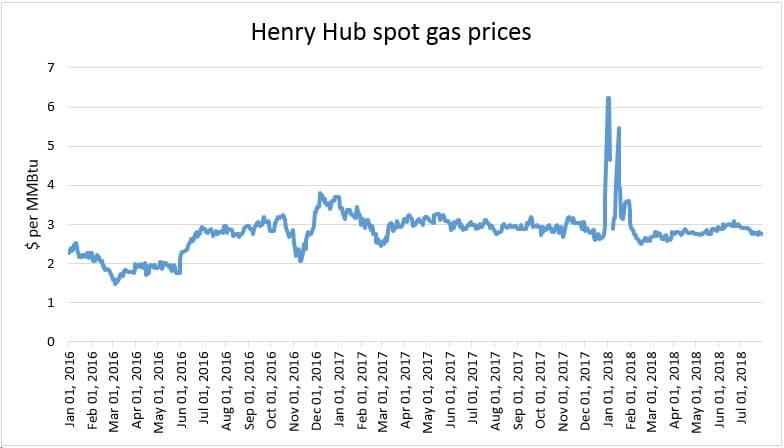 The last time that occurred in the winter of 2014, prices spiked above $6/MMBtu, and in certain parts of the northeast briefly jumped to over $100/MMBtu. Of course, the U.S. could also see an unusually mild winter, which would allow for a relatively modest draw down in inventories. In that scenario, the U.S. would likely escape painful price increases. But, if the mercury drops to unusually low levels this winter, prices will likely be jolted out of their slumber. Natural gas is so cheap in comparison to other fuels that it seems ludicrous to say that it is expensive because it goes up a little during high use periods. We should be switching every use we can to natural gas, ethanol, and other cleaner and less expensive fuel. Instead, we flare natural gas and complain about it being "locked in". Natural gas can handle a far larger percentage of our energy needs than it is currently doing. Aren't the pipelines coming in the Marcellus mostly for LNG and pre commitment gas plants? Are new N.E.markets opening up? That said my area is experiencing a cold night summer so far. 49 degrees this morning and hopefully a long cold Fall and Winter with deep shows approaching.